White Gold Blue Eyed Teardrops with Sapphire. 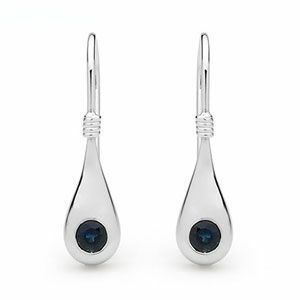 Elegant earrings featuring a genuine Sapphire set in a drop of pure 9 carat white gold and polished to a gloss finish. Gemstone: 2 x Sapphire blue round 3 mm. 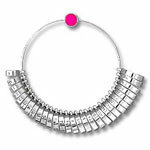 Material: 1.5 x Grams solid 9 ct. white gold. Type: sapphire white gold earrings. Gold shepherd hook fitting approximately 21mm long x 6mm wide.